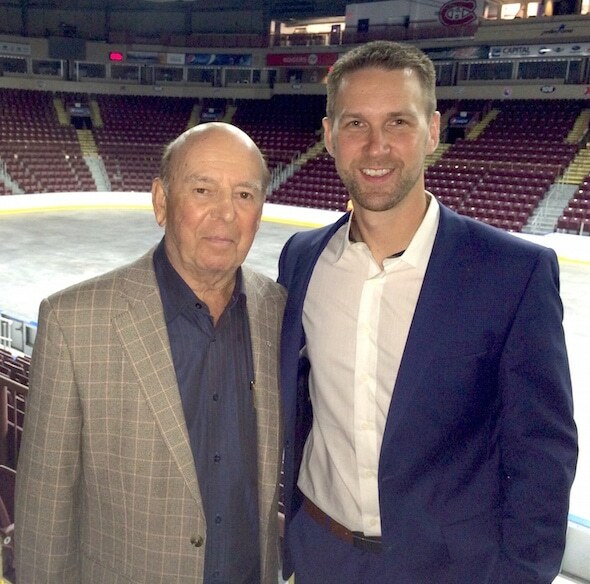 Bob Cole and Brad Gushue at Mile One Centre in St. John’s. The legendary Hockey Night in Canada broadcaster was, don’t forget, a highly competitive curler himself — a year earlier, he’d skipped Newfoundland and Labrador to a 4-6 record at the 1971 Macdonald Brier in blizzard-bound Quebec City, and he’d earn another Brier Purple Heart four years later in Fredericton. So, the Sept. 14 announcement that the 2017 Tim Hortons Brier will be played in Cole’s hometown of St. John’s, at Mile One Centre, was meaningful on many levels, and Cole was among the special invitees to the news conference announcing that the St. John’s bid had indeed borne fruit. Cole’s voice is synonymous with hockey broadcasting, of course, but his passion for curling is well-known on the Rock. 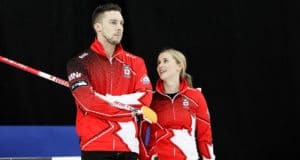 He was in attendance at Paradise, N.L., on the weekend prior to the St. John’s Brier announcement to watch Team Brad Gushue reach the final of the Pinty’s Grand Slam event. Cole was in the midst of establishing his play-by-play career when the 1972 Macdonald Brier was played at the since-demolished Memorial Stadium, and he had eventual winner Orest Meleschuk of Manitoba pegged as an early favourite before a rock was thrown. 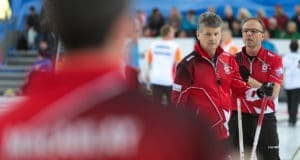 There’s no question in Cole’s mind that the 2017 renewal of the Tim Hortons Brier will be a staggering success in St. John’s, especially considering the likelihood that a title contender will be representing the host province. As for his own plans for the March 4-12, 2017 Tim Hortons Brier? Well, in today’s media landscape, nothing is for certain about what Cole will be doing in terms of his broadcasting career. But somehow, some way, Cole will find his way to Mile One Centre. 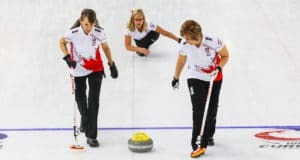 Al Cameron is the Director, Communication & Media Relations for the Canadian Curling Association.